I recently purchased a copy of the new The Beatles in Mono box set. Okay, I know I’m particular when it comes to packaging, but for $250 I expect some serious quality. I have always preferred the Mini-LP sleeve format for CDs released during the LP era. 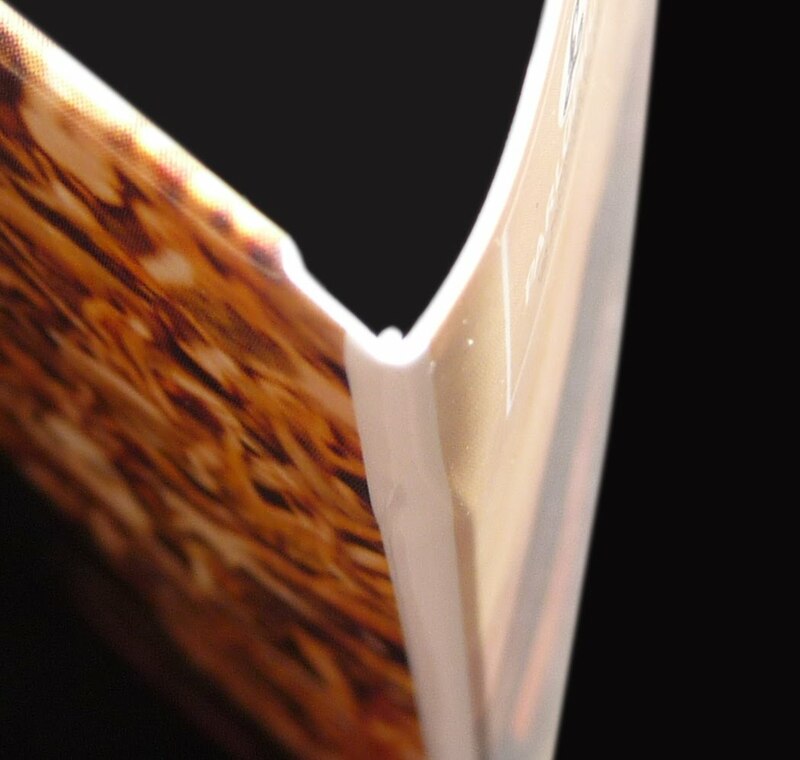 The idea behind the mini-LP format is to reproduce the original in every detail. The best of these are produced in Japan. They lovingly recreate every minor detail, every paper texture and weight, using period techniques such as tipped-on covers. There is a reason these replicas are expensive and sell out fast. They are flawless. 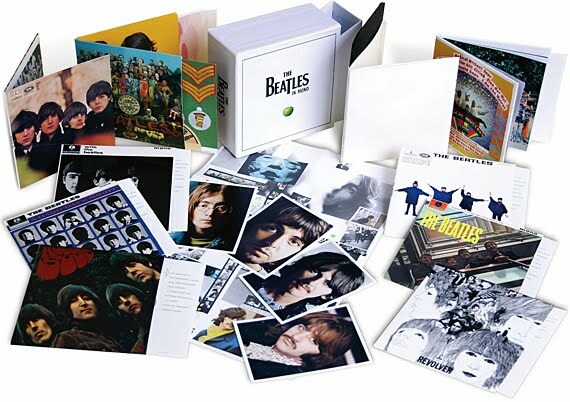 I was excited when I heard that the new Beatles in Mono collectors box would be using the Mini-LP format. I assumed that finally they would get it right. I should have known better too. The Capitol albums Vols 1 & 2 were unbelievably shoddy in terms of packaging. Before I get into the details of my grievance I do want to say that I’m EXTREMELY impressed with the sound quality- really breathtaking. I had chills listening to Sgt. Pepper. Stunning! Kudos to the engineers who worked so hard on this! As for whomever art directed this set: YOU FAIL. The Capitol Albums Volume 1 in particular was an outrageous embarrassment. Some of the cheapest and worst packaging I have ever seen for a major artist. Xerox quality images on the poorly designed outer box, bad reproductions on the Mini’s, no inner sleeves AT ALL. You’d think they would want to do it right this time. To be fair, the …Mono box is much, much better, but there are still disappointing problems. This is supposed to be a collectors set. That implies quality. It looks as if the sleeves this time were produced by different vendors. There is little consistency. 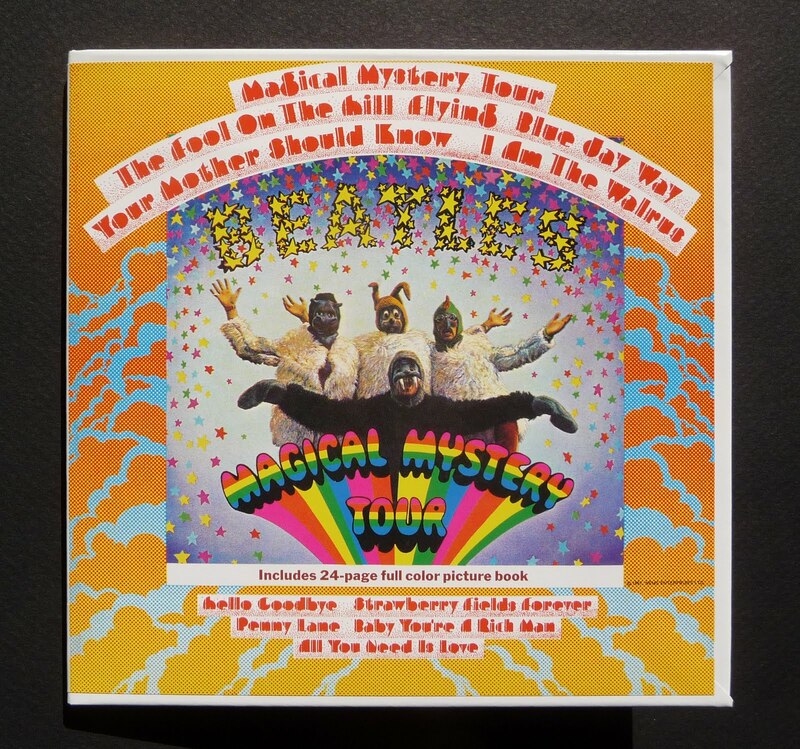 Only the sleeve for Magical Mystery Tour is correct, right down to the booklet and tipped-on sleeve. 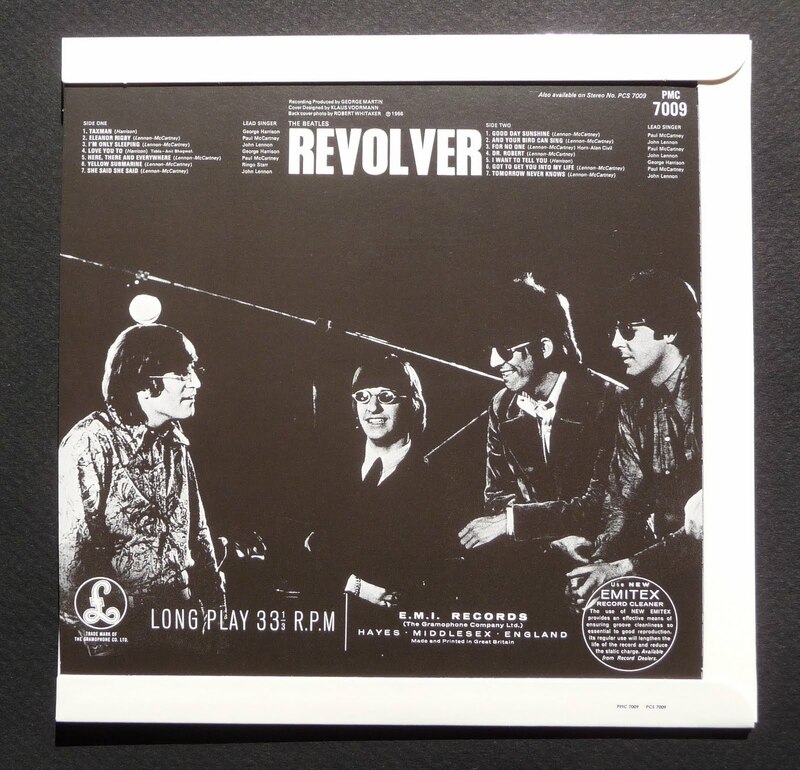 (“Tipped-on” is an 60s era printing technique where the the cover art is not printed directly on the surface of the cardboard sleeve, but instead is printed on an outer layer of paper.) It has weight in your hands and feels substantial. 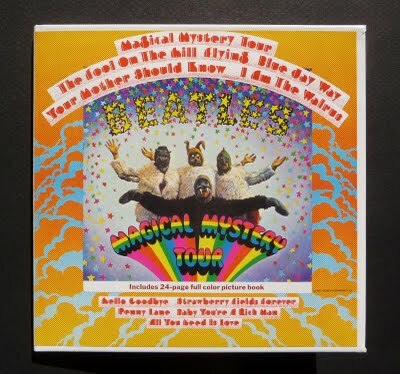 Why is only Magical Mystery Tour done with so much attention to detail? All the others are on light-weight stock and feel flimsy. Most of the others have cheap glue fold overs (over the outside of the artwork! Most obviously on the back sleeve of Revolver and inside the gatefold of Sgt. Pepper. At least glue the flaps under the artwork! more outer-glued flaps. Cheap bastards! The title on the spine for Sgt. Pepper is even upside down, and there is too little contrast on the outside sleeve. Really disappointing. Note the upside down title on spine. Did anyone proof this? The White Album is top loading for some inexplicable reason, and the printing reproduction on the cover photo of With the Beatles is terrible. All in all three different techniques are used. Clearly, from a collectors and designers point of view, it is NOT. I was smart enough not to waste my money when they issued the music on CD in 87. (those were the worst), but I feel seriously shortchanged now, having purchased this music at full price yet another time, and was promised “exquisite” packaging, and got something much less. It’s not like it hasn’t been done before. The recent Led Zeppelin Box is immacculate, the Dead Can Dance box too. Small indie labels like Hydra Head and Southern Lord and to a lessor extent, Matador do a great job. Because they care. They understand that to a collector these details are make or break. Lets face it … soon, the only market for physical copies is going to be collectors. If the product isn’t really nice they aren’t going to buy. Of all major artists the Beatles are among the most beloved. Their catalog deserves better. And while the most important feature- the sound, is stellar, EMI has duped us on the packaging again. I will say one thing, I will not miss the likes of the big corporate labels. They made much of their profits at the expense of their own artists, and they are finally getting what they deserve- bankruptcy.